Cameroon, in its Law 94/01 of 1994 on Forestry, Wildlife and Fisheries, supported local communities to engage in managing forests and benefit from them economically and environmentally. This provision in law allowed communities to have access to forests with the requirement that they obtained a legal status and signed an agreement with the government in which they committed to a set of conditions that maintained the state of the forest while creating livelihoods for local people. At the time, this was considered a potential ‘game changer’ on how to engage local communities by giving them some degree of authority over forest resources. There was great enthusiasm about this kind of management scheme because there were concerns that excluding local communities threatened resources throughout Africa and in many developing nations. It was widely perceived that this was progressive thinking about how to reduce deforestation. The law’s three main objectives were 1) enabling local communities to have access rights to forests; 2) Improving rural livelihoods; and 3) promoting sustainable forest management. Despite a gradual increase in the number of community forests, their effectiveness in delivering on the above objectives has been low. Accordingly, a team of researchers from the World Agroforestry Centre (ICRAF) conducted a study to find out why. The team examined the categories of factors that enabled the objectives to be the met, which they called enablers: 1) benefit generation, partnerships, monitoring, and policy support; 2) technical support, governance, financial support, practical choices; and 3) institutions that could improve the performance of community forests in achieving the objectives underlying their creation. The researchers wanted to identify which of the enablers could best enhance the effectiveness of community forestry to meet the objectives of the 1994 Forestry, Wildlife and Fisheries Law. The team analyzed the content of 41 publications that focused specifically on community forests in Cameroon and validated the results with a community forest group to estimate the level of overlap between what the literature emphasized and what the community prioritized. Two levels of ‘priority enablers’ emerged: by frequency of emphasis; and by degree of association between the enablers. The analysis and validation confirmed the importance of attributes that largely emphasized external factors, with few internal factors, whereas a community consultation revealed the important significance of internal factors. For example, factors such as ‘ownership’, ‘community motivation’, ‘gender’ and ‘youth inclusion’ came out strongly in discussions with the community. ‘Policy support’, despite being one of the priorities in the literature analysis, did not come up as a key factor in the consultation though the need for support from political bodies was clearly articulated for facilitating administrative issues. 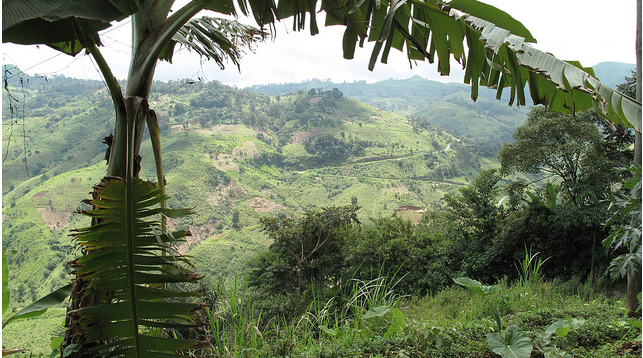 Policy about community forests in Cameroon has evolved in many aspects. Government agencies have been issuing various directives, implementation plans, and other supportive strategic guidance. These types of policy support have focused largely on the establishment of the forests and how to share the benefits between communities, local administrations and the ministry. The findings from the study could potentially guide policy-makers and practitioners to improve the performance of community forests and in delivering the objectives set out in the 1994 forestry law. The results give reliable guidance on where any entity trying to improve the performances of community forests against the 1994 law could invest in. They also make targeting of leveraging areas easier for actors in community forest management. This has been a major knowledge gap to-date. According to the researches there is need to further ascertain the degree of impacts of the composite approach of addressing associated enablers, it is vital to conduct further empirical assessments using different combinations of enablers and to examine the changes in performances of community forests. There is a strong need to clarify who should do what and at what cost the effectiveness and efficiency of the community forests could be achieved. Duguma LA , Minang PA, Foundjem-Tita D, Makui P, Mandiefe Piabuo S. Prioritizing enablers for effective community forestry in Cameroon. Ecology and Society 23(3):1.